Ep. 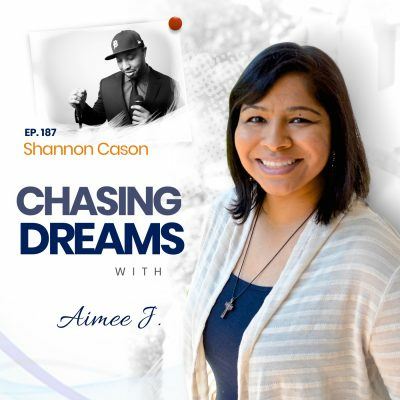 41: Law Blank – Making Your Passion for Art a Career | Aimee J. Law Blank wanted to be an artist for as long as he can remember. He was creating from the age of 2 and art was a part of his daily life. Law worked in mediums like chalk, pencil and even dirt as a child, finding his voice and honing his craft through the years. Today, Law enjoys success as an artist and balances it all with a busy day job and family. 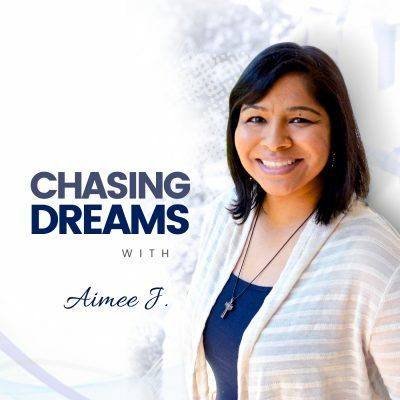 In this chat with Law, Aimee J. explores his passion, purpose, and dedication to art, as well as how he found success as an artist shown in galleries around the world. Chasing your dreams in spite of negativity around you. When you find your purpose and passion, it’s likely that you’ll hear a lot of negative voices around you. Law discusses how he dealt with negativity and how it actually inspired him to pursue his dreams rather than give up on them. He shares why the negativity didn’t dissuade him at all from chasing his dream of being an artist and why he gained strength from it instead. Law also discusses the value of constructive criticism and why it’s important to share feedback with others, even if it’s not in your field. He gives insight into how he uses constructive criticism with his own children to help them find their own voice. Finding a mentor and using inspiration to hone your craft. For Law, inspiration was all around him growing up. He explains how his mother’s talent and creativity inspired him. Law’s mother was very creative, and he enjoyed watching her draw and paint as a child. It was hugely inspiring to him and influenced him greatly throughout his childhood. Law also discusses how he found his biggest inspiration not in a person, but in a place: the library. He shares how he would spend all of his free time in the library and why it inspired him so much. Networking to grow your business and share your art. As he got older, Law knew he needed to find a way to get his art into galleries. And so, at the age of 18, Law had his first show in a local gallery after spending time taking his portfolio to various galleries. He discusses how the process of submitting a portfolio changes as you get older and gain more experience, and why he still doesn’t have an agent. Law also talks about what it was like to have his art shown internationally and why it’s a must to understand how to network if you want to grow your business. He discusses the importance of having a website, but the reality that the real work comes with networking. Law offers a tip for fellow artists: LinkedIn is an awesome place to network with other artists and those with a passion for art. Finding balance in a very busy life. As they close out their chat, Aimee and Law discuss the difficulty of finding balance in a very busy life. Law talks about how he balances it all: a full time day job, being on the board of Sing Me a Story Foundation, running stART Talking Art, his art, and – most importantly – his family. He also shares some advice for fellow dream chasers: Nothing should keep you from pursuing your dreams; you’re the only barrier to making them come true. 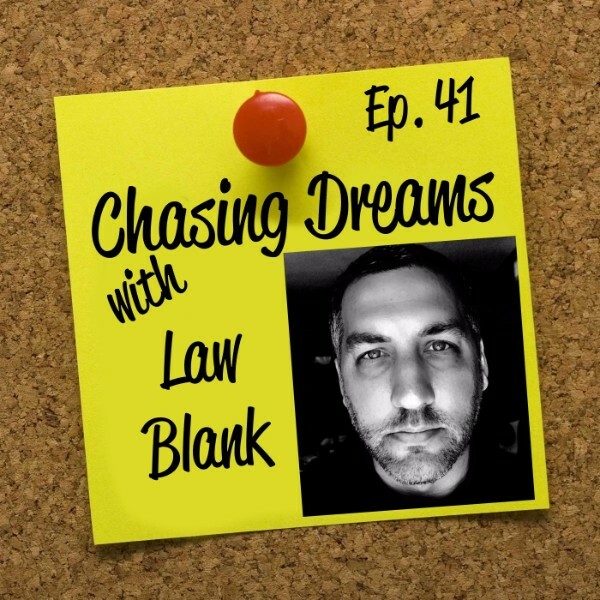 It’s clear Law has passionately pursued his dreams for most of his life and it’s inspiring to hear, with such honesty, the struggles and obstacles he’s faced along the way. [0:58] Introduction of Law Blank. [2:13] Was art an interest when you were young? [3:14] Law’s medium of choice when he was young. [4:04] Wws there any negativity around your decision to chase your dream to be an artist? [5:47] Should you give constructive criticism even if you’re not in that field? [9:19] Law’s mentor as he evolved into an artist. [11:02] When did you first start showcasing your work in galleries? [16:28] What does it take to be featured in a gallery at such a young age? [18:32] Are agents involved in the art industry? [20:02] Why is it valuable to have a degree when going into the industry as a working artist? [23:43] What’s it like to have your art shown in international galleries? [30:50] How do you balance everything – the day job, family, being on the board of the Sing Me a Story Foundation, art, and everything else? [36:24] Law’s feelings about leaving his day job and just doing art full time. [38:15] Is there a different medium you wish you had explored? [40:42] One thing Law recommends to fellow dream chasers. You’re the only barrier to making your dreams come true. Don’t let your dreams lie dormant – find a way to kick start it again and get after it.